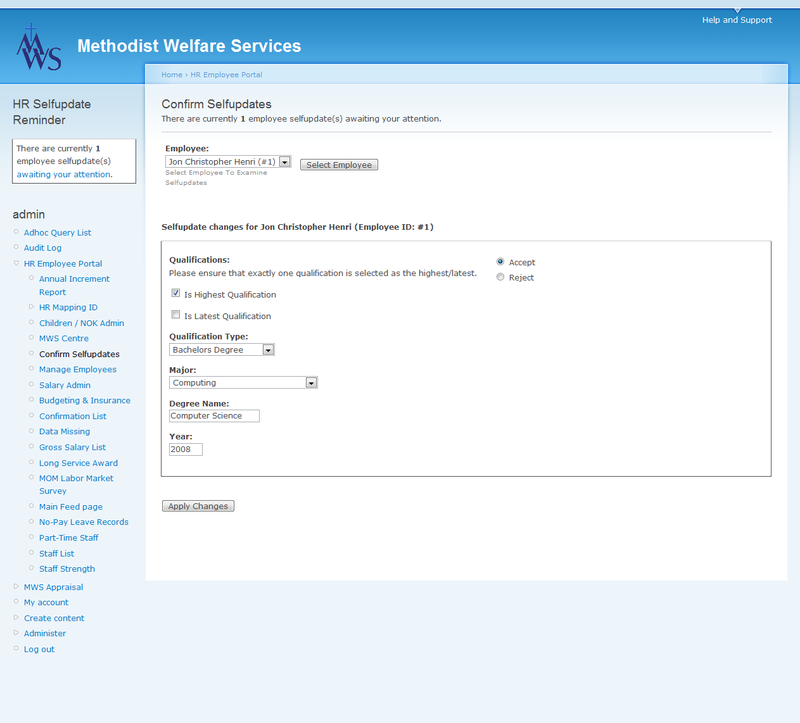 Methodist Welfare Services (MWS) is the outreach and social concerns arm of the Methodist Church in Singapore. Set up in 1981, they seek to reach out to those who face life crises and long-term hardship, by providing care, support, and practical help, to restore them to cope with their responsibilities. Today their emphasis is also on preventive and developmental services that promote resilience to cope with change and loss. Their services are extended to people of all races and religions. 3 centres serving children and youth via offering childcare, student care services, preventive, developmental and remedial programmes, and awarding annual MWS bursaries to students from poor families. 5 Family Service Centres that provide neighbourhood-based social services agencies, services aimed at strengthening and building strong families, casework and counseling etc. 3 rest centres that serve the elderly, sick and destitute. MWS has around 100 foreign and 200 local staff who need to maintain their personal data with the help of the administrators in all centres. MWS also has an appraisal system where employees would appraise their performance with a superior, and work on goals to improve themselves. At the time, the appraisals were done manually on paper, which wasted a lot of time as the employee’s appraisal file had to be passed from person to person. Furthermore, the whereabouts of this file would have to be tracked, adding to the amount of paperwork that needed to be done. Thus, the main need of MWS was to develop an online Employee Portal from which the organisation could manage the HR-related workflow, enabling them to work more efficiently. 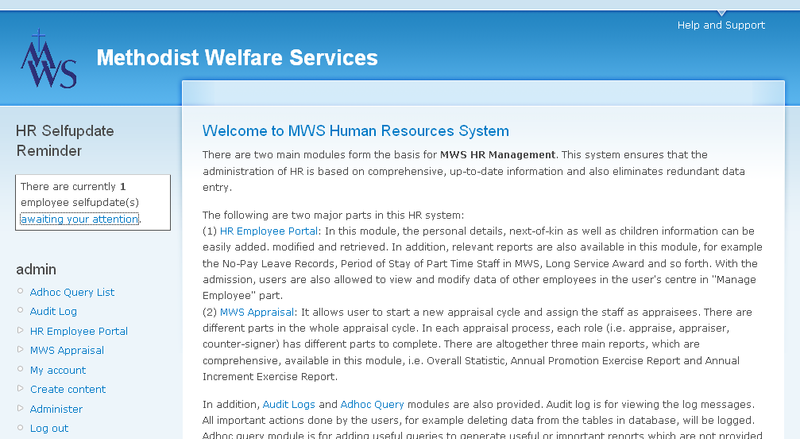 Human Resource Management System. This module would enable employees and administrators alike to manage and update HR matters online. This includes updating of employee particulars and tracking of records like no-pay leave. E-Appraisal System ?This module computerised the previous appraisal system which was done on paper. This includes functions such as arranging the appraisers and countersigning officers for employees, adding and editing the appraisal cycles, viewing the statistics of performance, and generating forms for performance rating process. 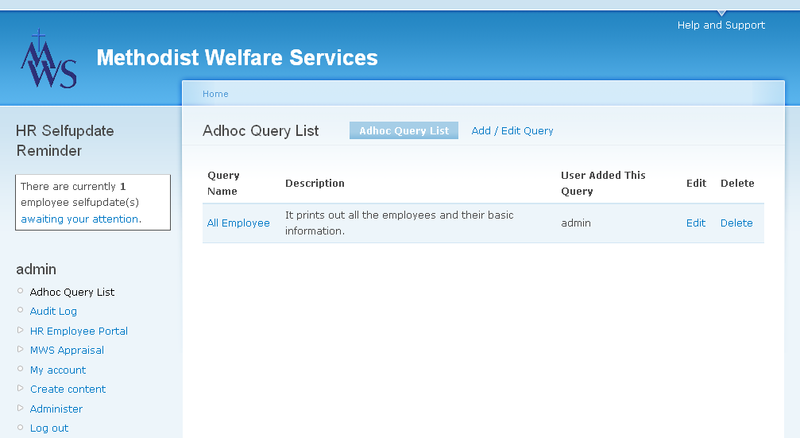 The Employee Portal that we have developed for MWS has helped MWS employees in their daily work flow. With all employee data kept in the central database, their administrative duties have become much faster and smoother as data can be retrieve and processed more quickly. With the Human Resource Management System, employees can now update their particulars by themselves, instead of e-mailing HR with any changes, which HR would need to update manually. 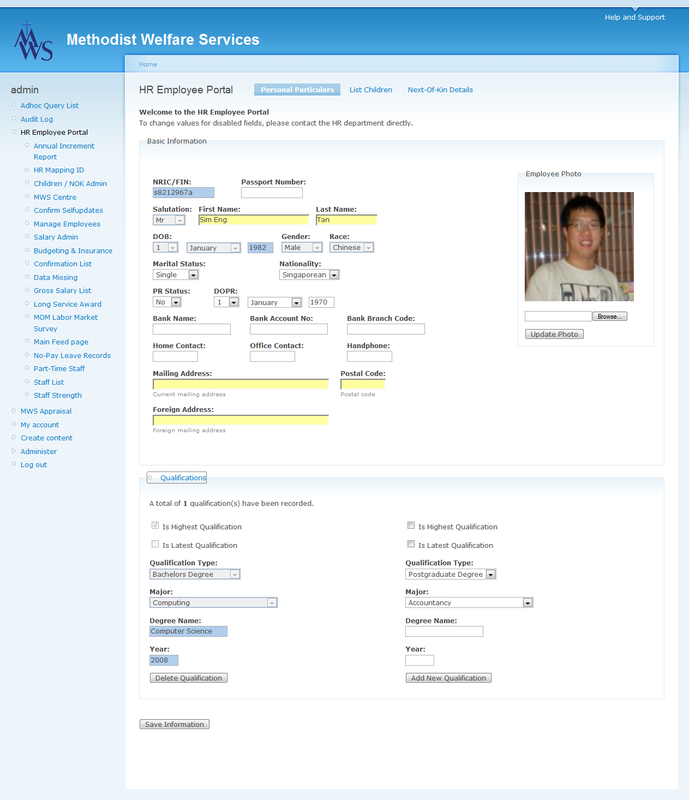 The HR department is also able to quickly generate reports based on certain information easily obtained from our system. Thus, tedious work processes that occurred previously have been eliminated, allowing for greater convenience for both employees and adminstrators in MWS. With the new E-Appraisal system, the appraisal process of MWS has been streamlined. Previously, it was a complicated process with the involvement of many people with each new stages. With this new online appraisal process, the people involved can just simply work on their part of the appraisal process and wait for the results, as others finish the other parts of the process. All the stages of appraisal are saved when finished, allowing people to continue the appraisal process when needed. 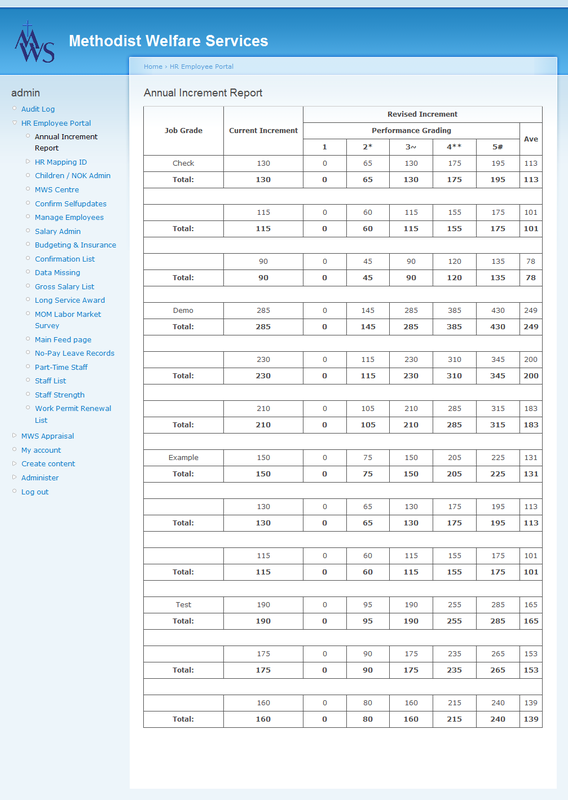 Also, the reports that need to be written using appraisal data can be generated automatically. With the help of the E-Appraisal, the appraisal process at MWS has become much easier. CVWO provided the opportunity for me to contribute to a social good through the pursuit of my interest in technology and business consulting. There was mutual trust and understanding between both parties that we share a common goal - To implement a solution that meets the business needs of Methodist Welfare Services to enhance their employee productivity. This project has been a very amazing experience for me. Through this project, I have learned new valuable knowledges like how the real software engineering project is done… In addition, this project is also meaningful. The system we built can help people to serve community better. I am very happy to be a part of this project. There are a lot of things can be learnt by taking part in the project. Of course, they are not just about programming. In addition, there will be always new things to be learned in CVWO. Hence, joining CVWO project for only one year is actually not enough. I am extremely thankful for being given the opportunity to join this project; to be able to learn so much while working on this project, as well as creating something that would be helpful to those serving our community. Although I had little inkling that I would be involved in this project until a month or so before it began, it turned out to be a very meaningful three months as I not only got an opportunity to practice systems building with a great team, but also helped a worthy cause in the process. There is a Chinese saying - "取诸社会，用诸社会", which roughly translates into reinvesting that we have gained from society back into society. As John Donne says, no man is an island and human beings do not thrive when isolated from others. I am glad that I have had this opportunity to apply and the knowledge I have picked up from the open-source online communities meaningfully to create something useful and helpful for another portion of the community.